Sri Lanka is a land of spices, with all the food in the teardrop island laden with rich flavors. Sure, all the spices used here are not native to Sri Lanka, but chefs and home cooks have incorporated them into their cooking to such an extent that they might as well be! Curries, short eats, sambols, and sweets all have a mix of seasonings that will tickle the senses. You’ll also find spices in Christmas cake and sometimes tea. Of all the spices used in Sri Lankan cuisine, the most famous one is Ceylon cinnamon. Also called true cinnamon, this is the crop that put Sri Lanka on the spice map. Apart from cinnamon, Sri Lanka produces all sorts of other spices, some of which are also used for natural Ayurvedic remedies. Here are the most used spices grown on the island, and don’t forget to pick some up to take home as a souvenir. 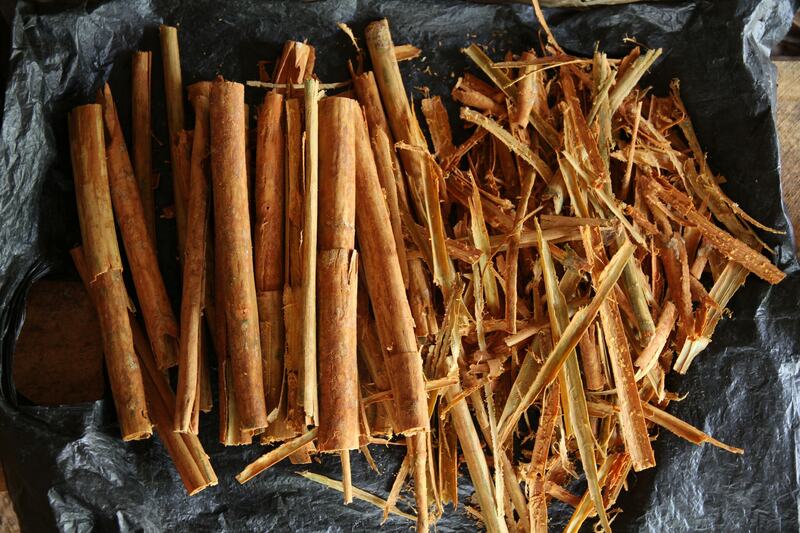 There are two kinds of cinnamon: Ceylon cinnamon and Cassia cinnamon. In the spice world, people often say that the Ceylon variety is the “real” one; however, in reality, both are from the same family of trees. Nevertheless, Ceylon cinnamon has a sweeter, fresher taste than the Cassia one, and if you are cooking Sri Lankan food, don’t ever replace one for the other. Sri Lanka is the number one producer and exporter of Ceylon cinnamon. 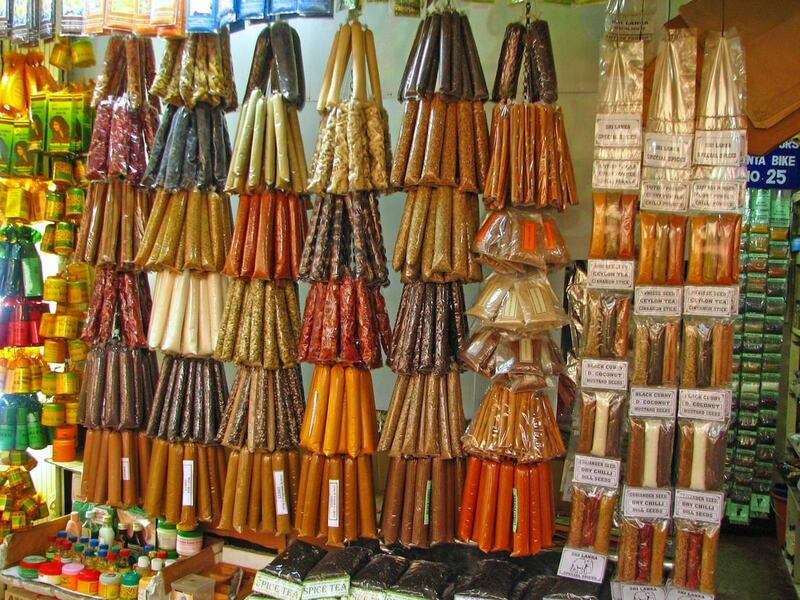 Black pepper is the second most produced spice in Sri Lanka after Ceylon cinnamon and is also exported around the world. Some people say that black pepper originated in India, while others believe it is originally from Sri Lanka, with pepper plants dotting the jungles of the country. Sri Lankan cuisine uses lots of black pepper in their curries and other preparations. Sometimes rice is even flavored with a couple of unground black pepper seeds. The “Queen of Spices” is the nickname given to cardamom—a spice used in both savory and sweet dishes. While it’s native to India, Sri Lanka is one of the main suppliers of both the white and green varieties. 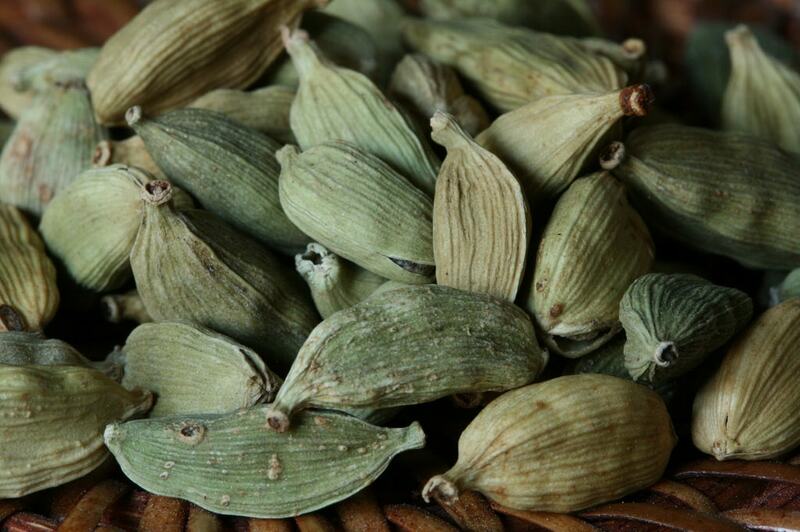 Cardamom is often found in curries, sambols, and also in spiced tea and is one of the most sought-after and expensive spices. The end product used in cooking is the dried seed pods. While cloves are not native to Sri Lanka or India, they do grow in the area with good results. Sri Lankans add cloves to rice as a flavoring agent, adding a couple of sticks to the cooking water. For curries, cloves are roasted in ghee. Clove oil is a natural antibiotic. 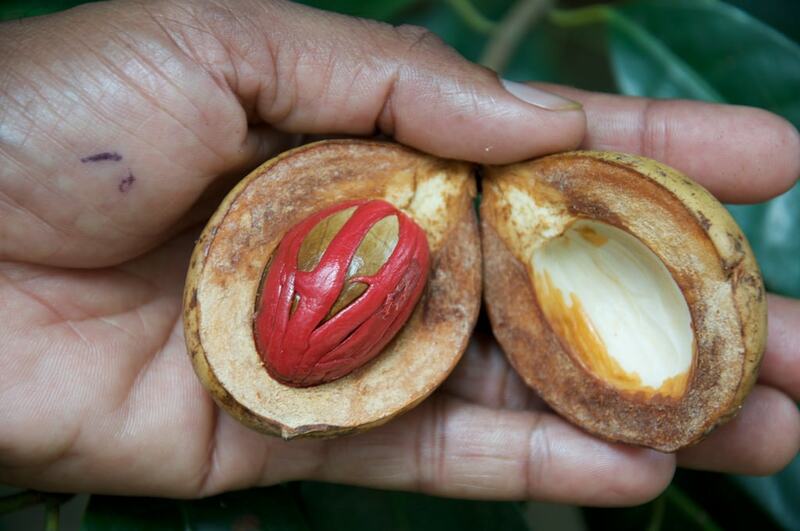 Nutmeg and mace are native to Indonesia, but just like cloves, nutmeg trees grow quite well in Sri Lanka. Both nutmeg and mace add flavor to all sorts of food, from curry to cakes and other sweets. Mace is the stringy outer coating of the nutmeg seed and tastes like a mix of cinnamon and pepper with a bit of nutmeg too. Along with cloves, nutmeg is a popular spice around the world. Turmeric has been gaining a lot of recognition lately as a medicinal plant. Used mostly in face masks and hair treatments, the powder of this root is also used in curries and turmeric milk. It gives dishes a wonderful yellow color and has plenty of medicinal qualities. Oh, chili peppers—the ultimate spice for any Sri Lankan dish. The dried red varieties are used whole, or they are turned into chili powder, of which there are different grades: burnt and unburnt. Each one has a distinct flavor. Green chili peppers are used to add a fresh taste to the spiciness of the dish and are sometimes added at the end of the cooking process. Which of these spices is your favorite? Do you use any of these on a regular basis? Did you know about the real Ceylon cinnamon?